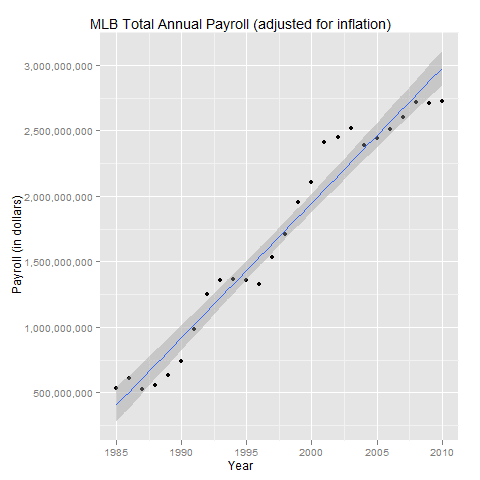 Year by year total annual payroll for Major League Baseball. The entire yearly budget for the National Science Foundation is currently set at $6.8 billion. By the year 2048, the total annual payroll for Major League Baseball will eclipse that, assuming that the NSF budget remains the same. Can MLB keep up this pace? Are the other professional sports leagues increasing at the same rate? The MLB payroll appears cyclical - is it due for an uptick?